If you want an instant, easy-to-use responsive menu for any WordPress template, look no further than WP Responsive Menu. 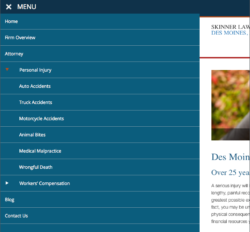 If you have a simple, single-level menu, you might not need a responsive menu, but if you have drop downs on your menu, it’s a good idea to add a responsive menu that is user friendly to tablet and smart phone users. 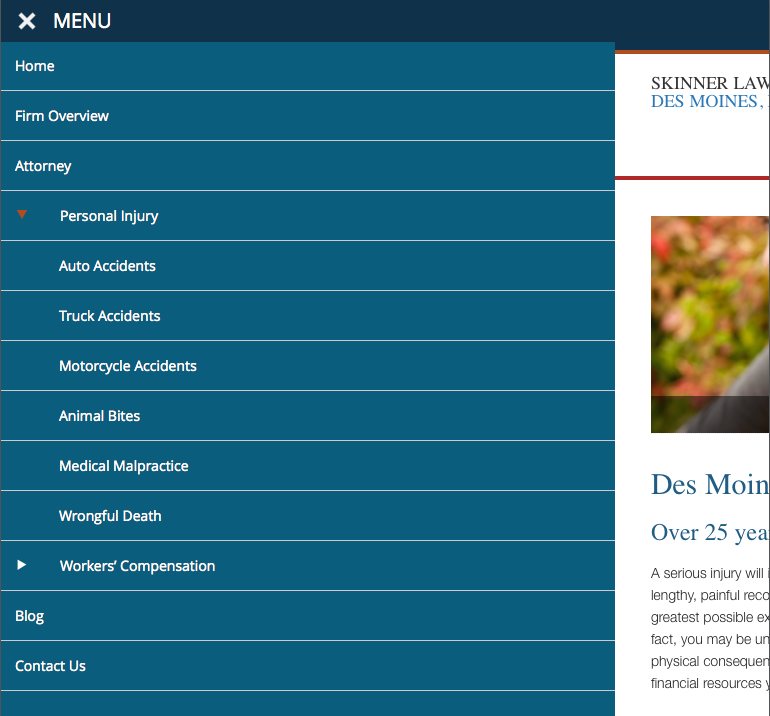 I have hand coded responsive menus and even written a procedure for how to create a responsive menu for the WordPress TwentyTwelve template, but hand coding takes time and requires a lot of fiddling to make it blend in with your template. As a result, I was looking for a responsive menu WordPress plugin. I found exactly what I wanted with WP Responsive Menu. When I say responsive menu, I mean a menu that is collapsed when you view in on a tablet or phone, and then when you click the menu icon, the menu slides in from off screen. WP Responsive Menu has all the features you need to set it up in minutes without writing a line of code…and it works with the Genesis framework! All configuration through a GUI settings screen. On / Off switch turns it on. Now for the good part. You can completely style them menu from the settings screen.